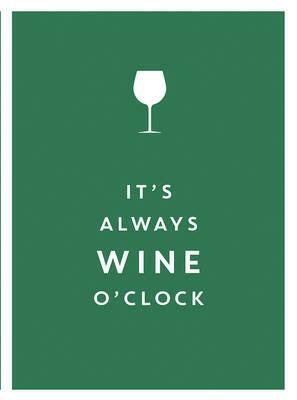 It’s Always Wine O’Clock, ISBN: 9781786850072 - available from Nationwide Book Distributors Ltd NZ. Pinot, Chardonnay, Merlot, Riesling… There are so many delicious wines to delight the nose and palate and so many occasions to celebrate them all. Whatever your favourite grape or vintage, dry or sweet, indulge your inner sommelier and raise a glass to the wonders of wine with this collection of quips from the world’s wisest and wittiest drinkers.